A new restaurant concept serving dishes using only superb Polish seasonal products creating real culinary masterpieces every day. Atelier does not work with the “À la carte” concept. Instead we offer our guests prestigious menus in different formats: 6 moments (280 PLN per person) and 9 moments (350 PLN per person) which allows us to introduce the diversity of natural supreme Polish flavour combinations to our guests. On Fridays and Saturdays the only dining option is 9 moments. Atelier Amaro is the only restaurant in Warsaw and the second in Poland to be commended by the Slow Food Poland Association, emphasising the perfect selection of the best ingredients as a leading working culture and the credo of local patriotism, served on a plate. 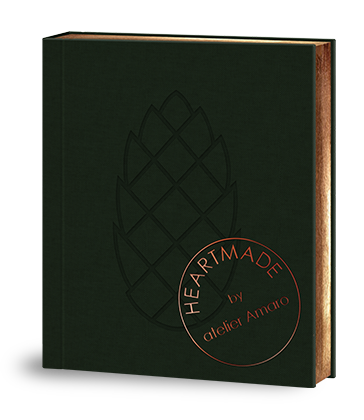 In 2013, Atelier Amaro became the first restaurant in the history of Poland, and the third in all of Central Europe to be awarded a one star Michelin Guide rating. Since then Atelier Amaro has maintained its one star rating. The wine list with choice wines from around the globe first and foremost features Polish spirits, liquors and meads as a consistent part of the Polish cuisine is a perfectly integrated highlight of the restaurant.